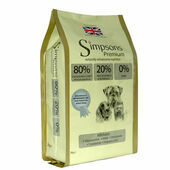 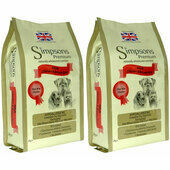 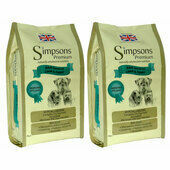 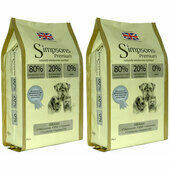 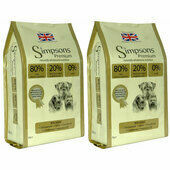 Suitable for adult dgos over one year old and senior dogs over seven, Simpsons Premium 80/20 Mixed Fish is incredibly versatile and has been designed to provide dogs with all the energy and nutrition that their bodies require to lead long healthy lives. 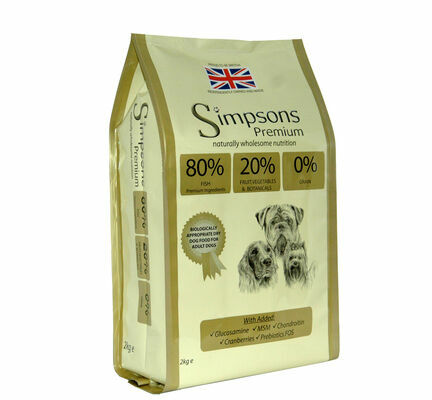 With a meat content of 80% and a vegetable content of 20%, Simpsons Premium 80/20 Mixed Fish Dry Dog Food is rich in protein and closely emulates the type of diet that the ancestors of modern dogs would have eaten when living in the wild. 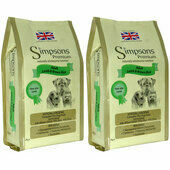 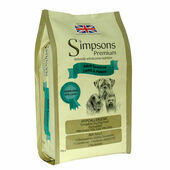 As a result of the limited vegetable content of this Simpsons Premium grain-free dog food, all those chosen have been carefully selected due to their complementary flavours and nutritional values. 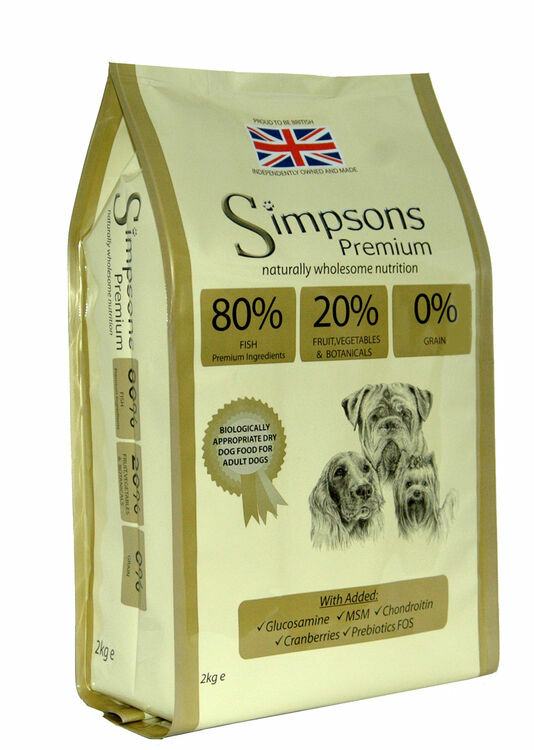 Moreover, they have also been enriched with Glucosamine, Chondroitin and MSM, which collectively have been shown to improve joint condition and help to keep them supple. 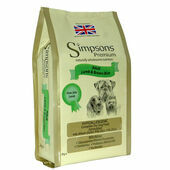 Ingredients: Deboned Salmon(21%), Dried Herring(21%), Deboned White Fish(17%), Potato, Sweet Potato, Salmon Oil(7.5%), Dried Salmon(6%), Dried White Fish(6%), Lucerne, Salmon Stock(1.5%), Pea Fibre, Minerals, Vitamins, Dried Apple, Dried Carrot, Spinach, Dried Seaweed, Dried Cranberry, Glucosamine, MSM, Chondroitin, Aniseed, Fenugreek, Thyme, Marjoram, Oregano, Parsley, Sage, Prebiotic FOS..
Simpsons Premium was founded in 2009 as a family run business who are aware of the importance of feeding pets with the best quality ingredients. 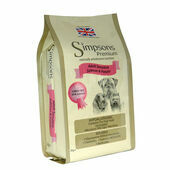 Simpson Premium have worked closely with a leading nutritionist to create a range of unique recipes, all sourced and manufactured in the UK or Germany. 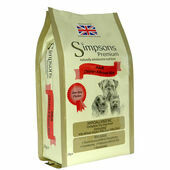 The products do not contain any artificial colours, flavours or preservatives and are helpful towards dealing with health and behaviour problems.